Home Is Computer Delivered IELTS better than Paper Based IELTS? 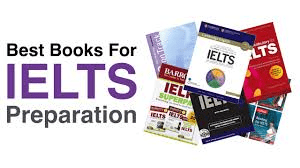 IELTS is now offered in 2 formats, namely: paper based IELTS and computer delivered IELTS. Most students are familiar with the paper based version. However there are some advantages of taking computer delivered IELTS. Here are some tips if you are considering to take the computer based version of IELTS. The online booking for IELTS now allows you to choose your speaking test time when you register. Choose this time wisely, and aim for 1-1.5 hours between the speaking test and the remaining components (Listening, Reading, Writing) so you can take a little rest before the 3-hour race. Each section (L/R/W) has its own paper.You will also be given an A4 size paper which has your computer login information such as candidate number and password, and a pen.You can write some notes on the paper, but the proctors will collect it at the end of each section. So, you cannot copy advanced words from reading with the hope of using them later in the writing section. You can control text size/colour /background colour etc. You can control voice volume in listening section. There is a timer on the top of the screen to remind you of the time remaining. This is very useful and subtle. Hands down, the writing module experience is the most improved in computer delivered IELTS! It allows easy planning and flexible writing which cannot be emphasised more. Word count is included under the typing text-box. This is very very useful because you don't rush yourself to erase an entire well-structured sentence that you perhaps took few minutes to construct. Instead, the count on screen encourages you to write precisely from the beginning. You can cut, paste, erase using backspace and undo sentences easily. Restructuring a paragraph is much easier than paper based version. For instance, sometime you may not understand the question or the task right away. You may start typing and then wonder "Hmm, maybe I'm a bit off topic here. Let's change the argument to make it sounds stronger by adding few words here and there". In the computer delivered version, you can do this very easily without making your work look messy. If you are one of those endowed with "doctor's hand writing" then the computer delivered test is a God send for you. You do not need to worry about illegible and badly formed words. Practice typing as much as possible. If you are not comfortable typing on a computer then this format is not for you. Know your IELTS essay types or required structure beforehand. This will guide you through writing and save your time. Reading module experience too is tremendously improved in computer delivered IELTS. You can highlight, copy, paste words or sentences easily. In the T/F/NG section you don't need to type anything ; just select the letter from a menu. No more confusion about whether you should write T or True or Yes or Y for the answer. "Summary Completion" part of the reading is much easier and faster to complete on the computer. You can copy (ctrl+c) the text or a word and paste (ctrl+v) it in the blanks. The difficulty level is the same as the paper-based test. Aside from practising reading on a computer, make sure to highlight keywords or topic sentences in each paragraph as you read so you don't lose their location. This is especially helpful in part 3 which has a long passage. You need to sleep extremely well the night before the exam as staring at the screen for 60 minutes isn't friendly to the eyes. This section, perhaps, has the least advantages in the computer-based IELTS version. In fact, some students prefer the paper based version of the listening module. Although you get your own headphones and can clearly hear the audio, typing while listening can be a bit challenging. But, this totally depends on the individual's comfort level with typing which is a skill you need to master for the computer-delivered version. The biggest difference is that unlike the paper based IELTS, you DO NOT get 10 minutes at the end of the computer delivered IELTS to transfer your answers. Instead you get ~2 minutes at the end of the listening test to review all the sections. Although you are given a piece of paper, honestly, you will have NO time to transfer answers to the screen if you write them on the paper. So just type the answers on the screen. Between listening section(s), you usually get 30 seconds to check your answers and 30 seconds to skim the next section. Difficulty level is about the same in both test types. Practice listening on a computer and typing on the screen as you listen. Enter your answers straight away on the screen. Don't ever write anything on paper with the hope to transfer it later. So that's it! Did you take the computer based IELTS test? Share your experience in the comments below. On 19th September, I took the ielts general training test at IDP New Delhi. They have a state of art computer laboratory with CCTV monitoring. On our seat, there is a sheet on which login details of listening, reading, and writing were mentioned. There are 20 students who took this test. The timer will be at the center of the screen. The exam starts at 9 am and it got finished by 11.40 so it last for 2 hours and 40 minutes. Listening – This test last for 30 minutes around. Managing time is a cumbersome task. Sometimes to manage this one can fill answers on the screen while the audio is playing. After each section one gets around 45 seconds to fill the answers. In the end, we get 2 minutes to check and fill the answers. Answers get locked after timeout. Reading – The question remains the same. The only thing it is to be taken on the computer. The timer will fluctuate 10 minutes and 5 minutes. Even the invigilators announce that how much time is remaining. Writing – Well writing to be taken on Computer. Sometimes other Candidates pressing keys on keyboards creates noise so you should avoid getting distracted from this. Speaking still remains face to face. Hi, I see the Writing component has improved drastically. I would like to know whether we can copy-paste say, a full line, in the writing module. Yes, you can copy paste a full line in the computer delivered writing test. It makes editing and reorganizing the essay very easy.